« Just writing to say I’m excited. PJ asked me to write a blog post about Italian beer because Emily and I are headed to Europe on Wednesday. My response was, “Why? 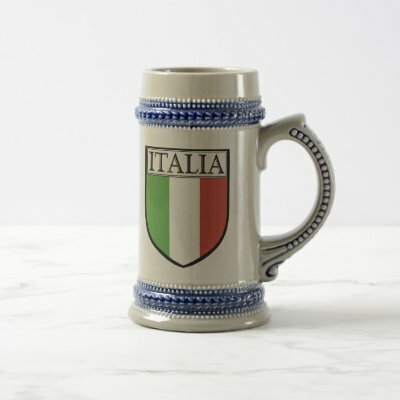 To say it’s terrible?” I don’t want to get into a fight with anyone about the merits (or lack thereof) of the three Italian national brews, but my opinion is that the three (Peroni, Moretti and Nastro Azzuro) are at the most, mediocre macrobrews. I have tried to think if I know of any sort of craft brewing in Italy. I have not once heard of even homebrewing. However, I know a TON of Italians that make their own liquor. So if I had to sum it up in one extremely generalizing way, I’d say Italians know how to distill and ferment, but not brew. So I have a challenge to propose to the field! Find me a micro or craft brewer in Italy and Emily and I will try to visit! Luckily we are also voyaging to other far reaches of Europe (and a little bit of Asia too!) so we will be able to delight in some delicious beer, but we’re also big on trying local fare. Leave any suggestions in the comments area and we’ll try to check it out. Also, enjoy this lovely posting in Wikipedia about liquor consumption per capita around the world. Oh Italy. Good thing I like wine too, eh? I haven’t had a chance to taste any of them yet, but by all accounts there is a new wave of very innovative craft brewers currently creating a very active beer scene in Italy. i’m about a year late but i just started reading the blog (from the beginning). its great so far! Hi there, im am living in Italy but im english and i want to start a brewery of sorts, i have some experience but i know the regulations in Italy can be terrible, do you have any advice ?